SoxProspects News: Minor Notes: Maddox has surgery; can free agency be changed? Minor Notes: Maddox has surgery; can free agency be changed? Right-handed pitcher Austin Maddox had surgery on his right rotator cuff on September 19. The 27-year-old only threw 7 2/3 innings in 2018, dealing with inflammation in his throwing shoulder through much of the season. WEEI.com's Rob Bradford has been projecting who might be on the Red Sox postseason roster and has Ryan Brasier, who was called up on July 8 after pitching well in Pawtucket all year, as a lock to make the American League Division series pitching staff. Russell A Carleton of Baseball Prospectus examined the phenomenon of teams manipulating service time by waiting to call up blue-chip prospects, delaying their free agency and whether an age-based system would help. Due to the new rule in minor league baseball where a runner will start at second base in extra innings, game times plummeted across minor league baseball. JJ Cooper of Baseball America has the story. Tzu-Wei Lin and Sam Travis (pictured) each have been up-and-down players for the Red Sox both this season and last, but each had not hit a major league home run until September 21, when both went deep against the Indians. Chris Cotillo of MassLive.com has the story on the pair of players who have come up through the system together. MLB.com's Jim Callis says that Bobby Dalbec is one of Mesa's biggest under-the-radar players to watch in the Arizona Fall League in his Thursday mailbag. 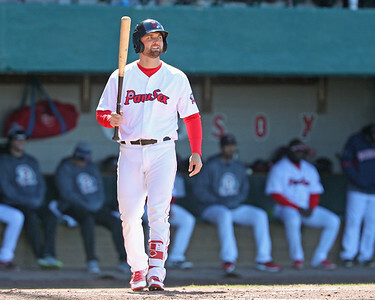 The Portland Sea Dogs had their schedule released on Wednesday and will open on April 4 at home against Reading, according to the Portland Press Herald.